May buy 1 for yourself and 2 additional as gifts. May redeem 1 per household per visit. Valid only for option purchased. Valid only for exterior windows. Not valid for french window panes or storm windows. Max 2,500 sq. ft. for one-story homes and 3,200 sq. ft. for two-story homes. Hardwater treatment not included. Valid only within 20 miles of 84057. Additional fee for windows more than 20-feet tall. Expires 4 months after purchase. See the terms that apply to all deals. Alpine Window Washing takes great care to not only clean your windows, but also keep them clean. To prevent permanent damage to your windows, they have a detailed hard water treatment. 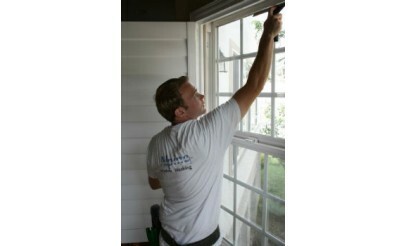 They also remove the screens and wash all of your windows with professional grade squeegee, and towel the edges. Then, they use window scrapers to remove any deposits or debris. Alpine Window Washing offers the highest quality of service in both residential and commercial window washing, gutter cleaning, and pressure washing.